Help Us Tell the World About USA Learns! We’d love your help in telling people around the world about USA Learns (www.usalearns.org), a free website to teach English to adults. We also have an entire section of our site for English teachers who want to teach English online. Below you will find easy-to-share resources that we encourage you to add to your website, blog, newsletters, etc. Included are videos, images, facts, and more. Learn to read, write, speak, and listen in English. You can study at home, school or the library — anywhere that has fast Internet. Are you an adult education teacher who teaches ESL? Do you work or volunteer in a library or other location that helps adults learn English? 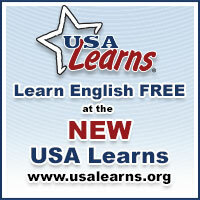 Download our flyer to create your own online English course, based on the USA Learns’ content! It's free and easy to do. Just visit USALearns.org/teacher and create an account. In just a few minutes, you can have your own ESL course and easily invite adult learners to enroll in your online class. Suggested caption: What is USA Learns? We encourage you to use these images in blog posts, as social shares or in other ways to get the word out about USA Learns. Here is some interesting information about USA Learns, which you are welcome to share. It’s a free website to teach English to adults around the world! Who offers this free site? The Sacramento County Office of Education built and maintains the site. It was originally funded by the Office of Vocational and Adult Education (now OCTAE) and the California Department of Education. Can English teachers use the site? Yes! 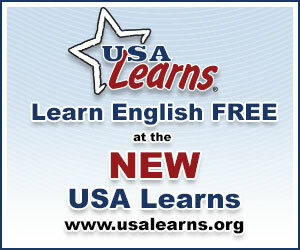 There is an entire section of the site that teachers use to offer free English instructions to their adult learners. It was originally envisioned as an experiment to see if adults could learn English online, and good news — they can! 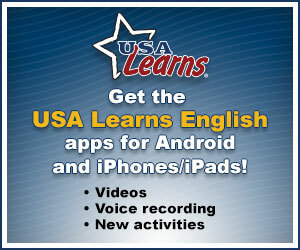 How many adults have learned English with USA Learns? Since its launch in 2008, more than 10 million adults — from every country in the world — have visited the site! 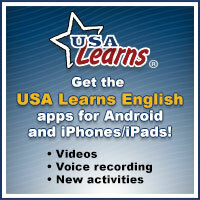 What are the USA Learns English Apps?